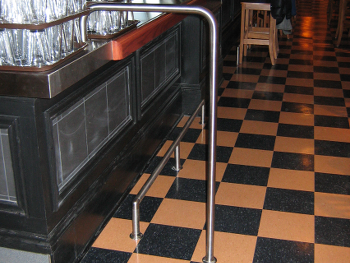 Bar or Service Separation rails help restaurant and bar operators increase efficiency by ensuring that service areas are kept clear and functional. Several designs are possible, in any of our many finishes. The two standard offerings are the 297-20 (Return to Floor) and the 298-20 (Return to Bar) models. We have partitions systems of virtually any size or shape and in thousands of finishes. 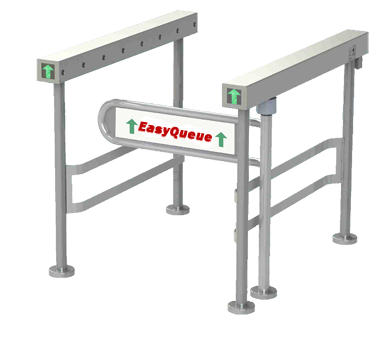 Service rails come in standard sizes as shown above or we can fabricate any design and shape you can imagine. Please contact us for custom design solutions and with questions.